Everyone will know I filed for bankruptcy relief. Bankruptcy is a public record and anyone can look up bankruptcies filings. However, your friends, acquaintances, and employer are not likely checking public records to see if you have filed for bankruptcy. The bankruptcies of celebrities and major corporations make the news, but most likely no one will know you filed for bankruptcy except you and your creditors. All debts are discharged after a bankruptcy petition is filed. Not necessarily. Not all debts are dischargeable under bankruptcy law. 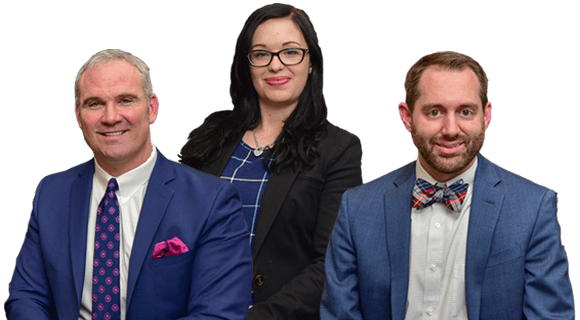 Typically, all general unsecured debts, and any secured debts that are not reaffirmed in a Chapter 7 bankruptcy, are discharged upon the successful completion of a bankruptcy. But there are certain types of debts that will not be discharged. Some of these include certain taxes, domestic support obligations, child support, debts incurred due to fraud, and restitution payments. I can transfer my car/house/boat/savings to my friends or family before filing bankruptcy. No. You cannot give anything away or sell your property for less than “reasonably equivalent value,” or it could be considered a “fraudulent transfer” by the Trustee. If a transfer was completed within one year of filing your Petition, the transfer could be reversed by the Trustee. I will lose everything I have after filing a bankruptcy. No. Only Chapter 7 bankruptcy is a true liquidation of assets. In most Chapter 7 cases there is no distribution made to unsecured creditors because the vast majority of Chapter 7 cases are “no asset” cases. This is because each state has specific exemptions that cover personal and real property which are used to protect assets and keep them safe from liquidation by the Chapter 7 Trustee. I will ruin my credit forever and I will never be able to get a credit card again. Not true. If you take the proper steps and make smart decisions after completing the bankruptcy process your credit will rebound much quicker than you think. I have to file a petition jointly with my spouse. No. You may choose to file jointly or individually if you are married at the time of filing. Your attorney can advise you what your best options are. People only file bankruptcy to avoid paying back their debts. No. Most bankruptcies are filed after life changing events. Many bankruptcies are filed after the loss of employment or as a result of accident or illness. I can pick and choose which debts will be discharged. No, you cannot pick. All debts must be listed on your bankruptcy petition. One of the questions you will be asked by the Trustee will be if you listed all outstanding debts, even those owed to family members. All debts in a certain class, such as general unsecured debt, must be listed and given similar treatment in a bankruptcy case. Filing a bankruptcy will not affect my credit rating. It will. Any Chapter 7 bankruptcy filing will be on your credit history for ten (10) years after the filing date, and any Chapter 13 bankruptcy filing will remain on your credit history for seven (7) years.